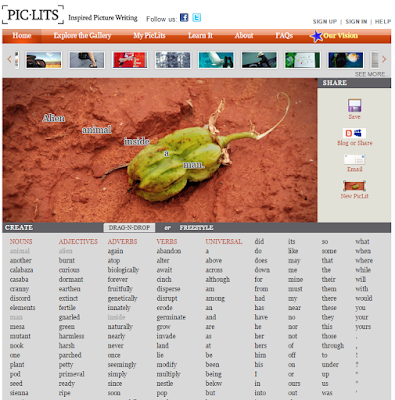 PicLits is an excellent site for finding creative writing prompts. PicLits aims to provide inspiration for writing short stories. PicLits tries to reach this goal by providing users with images upon which they can build their writing. To get writers started, PicLits provides a list of words which can be dragged and dropped into sentence form. If you don’t want to use or don’t need a word list, you can select the “freestyle” option to begin free-form writing.